SBMS Mentors come from a broad range of industry backgrounds. They have run businesses and achieved some degree of success in their lives. They choose to become Mentors to give back to the sector and to help to make your business better. To read the individual CV's of the mentors or to make a booking, click the button below now. SBMS have created a broad range of FREE resources. These include Business Planning templates, Costing worksheets, Marketing Tools and Financial templates that will help your business flourish. We also have several business model resources on Franchising, Export/Import, Home based businesses. Click the button below to explore them all. 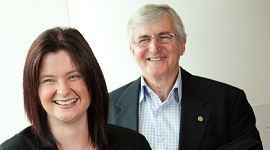 SBMS are seeking volunteer retired or semi retired business people in metropolitan and regional NSW. If you have a passion for helping small businesses to become better and have achieved business success in your life, you can help give back through the mentoring service. To apply to become an SBMS Mentor, click on the button.